During Jack's freshman year at Jesuit, George took Theo, Jack and a couple of other boys to a Cal Football game. Additionally, several Jesuit pre-dance events were held at the Christopulos home, including the 2015 Jesuit Jr Prom and the 2015 Jesuit Homecoming. George Christopulos passed away on June 10, 2017 after a 5-year battle with brain cancer, at the age of 61. George leaves behind his loving wife of 23 years, Katherine Procida, and their devoted children, Theo and Marisa Christopulos. George is survived by his sister Trici/Deanne Christopulos, brother Lyn Christopulos (Jennifer), and beloved nieces, nephews, mother-in-law, brothers-in-law, sisters-in-law, aunts, uncles, cousins and godchildren. George was born on May 28, 1956, to the late Paul and Irene Christopulos. He was introduced to the University of California, Berkeley, at an early age when he would accompany his father, who served as UC Berkeley Assistant Athletic Director, to events and football games. George's early passion for Cal never wavered. He became a student there and a life-long fan of Cal sports. 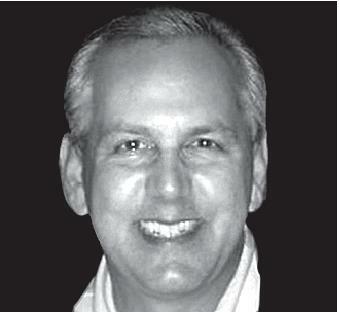 George moved to Sacramento and enjoyed a long career in commercial real estate. He was also a lead negotiator in a promising attempt to bring an NFL team to Sacramento. George was a strong, kind and gentle soul whose greatest joys were his family and friends. All services will be held at the Annunciation Greek Orthodox Church, 600 Alhambra Blvd., Sacramento: Trisagion Service at 6pm on Thursday; Funeral Church Service at 10am on Friday, followed by a Celebration of Life in the church hall. In lieu of flowers, donations may be made online to the Kesey fund in George's honor: donate.kesem.org/inhonorofgeorge.